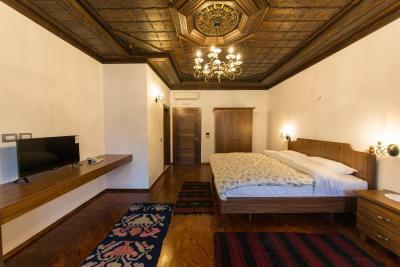 Lock in a great price for Hotel Onufri - rated 9.3 by recent guests. Incredibly comfy bed and the view was outstanding from our room! 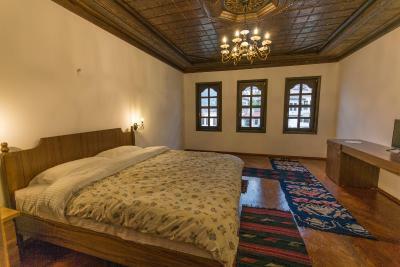 The amazing cieling in wood and artwork, the great old style hand made curtains, and absolutely everything else. An amazing sun bath at the terrace having a coffee. I got a X’mas present (an apple). It was big surprise and I was very happy. 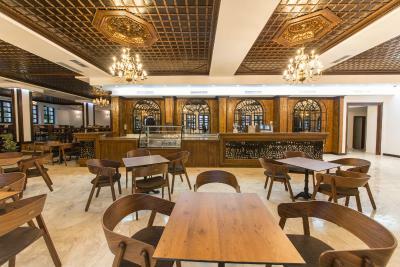 Brand new hotel, finished in 2018, designed with traditional wood decor. 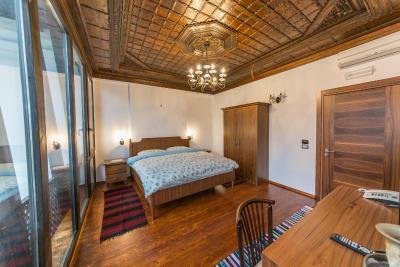 I loved the wooden ceiling. We had a room with huge windows overlooking the street, the city. Fantastic view. We were in low season, with few guests. We could park our car in the garage for free. Good heating and warm water. The breakfast was rich and tasty. Staff always smiling, helping, mostly spoke some English, some excellent English. Amazing location. This was a really lovely hotel! 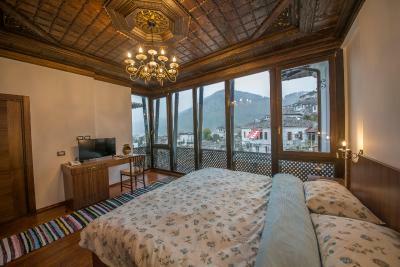 The entire place and rooms were very well designed and looked after. Location was good too, just on the way to the castle (would still recommend driving though!). Breakfast was pretty good, and we were able to park our car in the garage. The staff allowed us to keep our car parked there after we had checked out to explore the town. Would highly recommend! 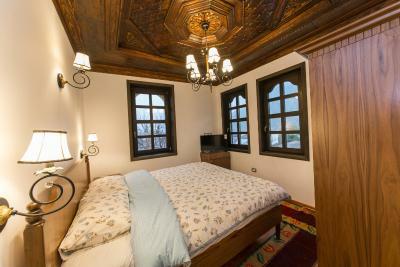 Fantastic new hotel built in ottoman style - room fab wet room even better and amazing value too ! The hotel is bright new and the location is awesome. The breakfast was delicious and rich. The room service and the staff here were amazing, which made me feel so homey!!!!! They took good care of me ( I felt bad physically the day I stayed in), which made me feel so treasured and healed. 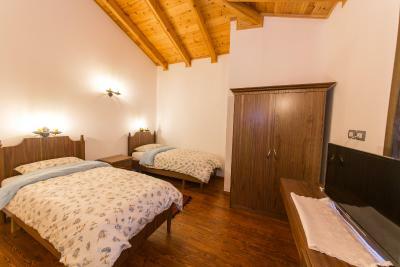 The rooms were clean and the location is central to all popular destinations in town, e.g. the castle area. 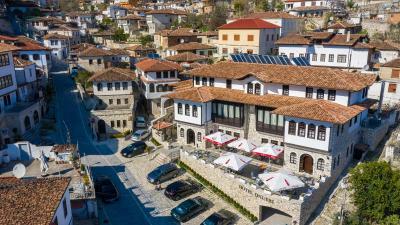 One of our top picks in Berat.Set in Berat, about a 2-minute walk from the Osum River, Hotel Onufri offers 4-star accommodation with a shared lounge, a bar and on-site dining. Free WiFi is available throughout the property. At the hotel, the rooms come with a desk, a flat-screen TV with cable channels, and a wardrobe. 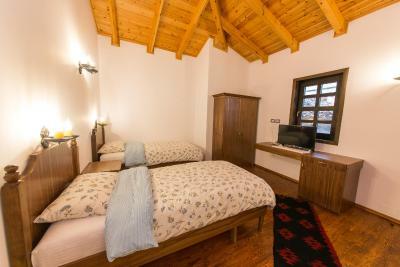 Each room comprises a private bathroom fitted with a shower. Free toiletries and a hair dryer are provided as well. 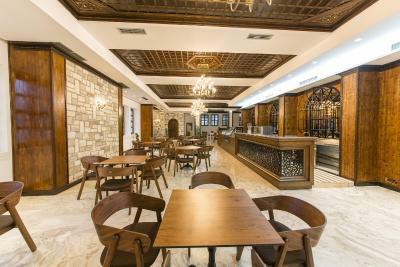 Guests at Hotel Onufri can enjoy a continental breakfast. 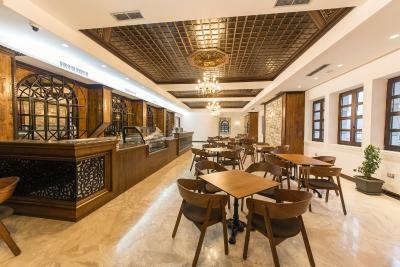 The on-site restaurant serves a la carte dishes and specialises in Mediterranean cuisine. Berat Citadel is about 900 yards away. Tomorr Mountain National Park is about 15.5 miles from the property. 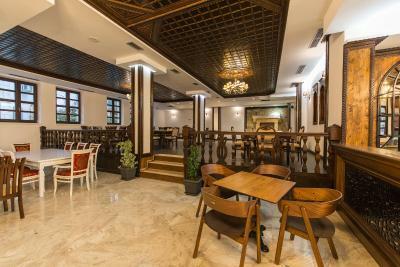 The nearest airport is Tirana Airport, 73.9 miles from Hotel Onufri. 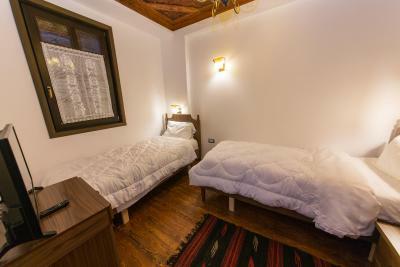 Hotel Onufri has been welcoming Booking.com guests since 8 Mar 2018. When would you like to stay at Hotel Onufri? 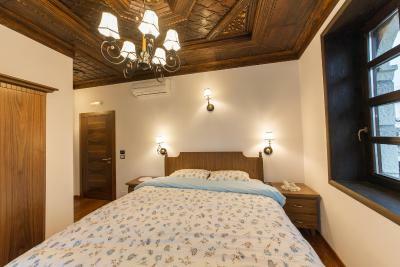 This larger room is air conditioned and comes with a seating area, minibar, and a flat-screen TV. The modern bathroom is fitted with a shower and includes a hair dryer and free toiletries. 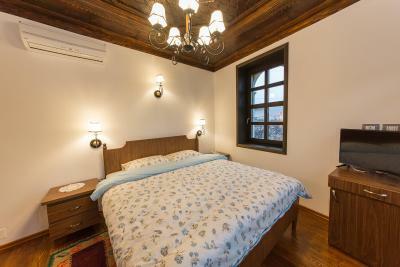 This room is air conditioned and comes with a seating area, minibar, and a flat-screen TV. The modern bathroom is fitted with a shower and includes a hair dryer and free toiletries. 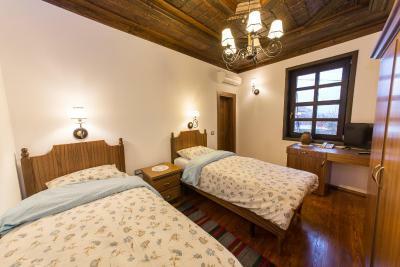 This double room features a minibar, cable TV and air conditioning. 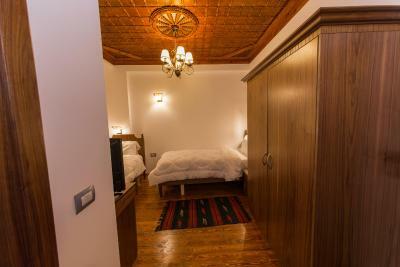 This double room has a soundproofing, cable TV and minibar. This twin room has a soundproofing, air conditioning and minibar. House rules Hotel Onufri takes special requests - add in the next step! 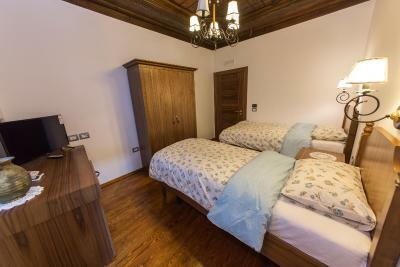 All further older children or adults are charged EUR 7 per night for extra beds. Hotel Onufri accepts these cards and reserves the right to temporarily hold an amount prior to arrival. Please inform Hotel Onufri in advance of your expected arrival time. You can use the Special Requests box when booking, or contact the property directly with the contact details provided in your confirmation. Curtains could of been blackout curtains. Light from road and opposite buildings kept the room too bright. We couldn't sleep becouse of the super loud music that didn't end untill the morning. We booked a room with a city view and they gave us a room where you couldn't see anything (they made us pay for the city view room that was more expensive). We couldn't even complain as nobady was in the reception. The breakfest was poor and the stuff was rude. Overall terrible experience. Everything was great but when you have kids you appreciate elevators more :). Most probably elevators dont make sense in a historical place and the staff helped me a lot to carry things to my room. The breakfast should be more rich if it is really a 4 star hotel. 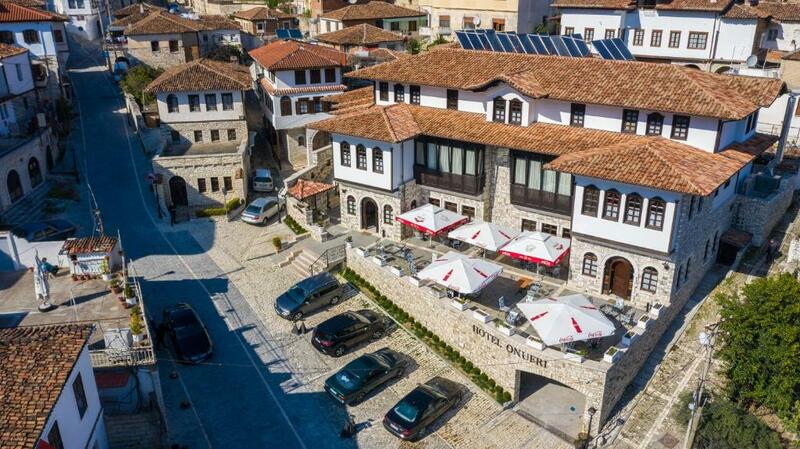 A complete brand new investment, with a perfect combination between traditional style of architecture and the modern & contemporan style. 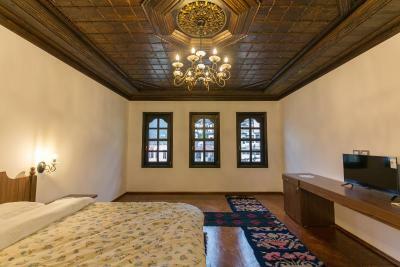 Amazing traditional carved room ceiling. Very near in walking distance to old bazaar and the path to the castle. Likewise just 5 minutes form the city center. It is an wonderful corner of the city ad value of the money you pay. Very helpful staff, especially the girl at the reception (Anjola), who was extremely supportive to all of us. Extreme high level of cleanness (10/10). The shower space might be better to be put a door or a curtain. Or after taking shower, toilet and the floor will be wet. 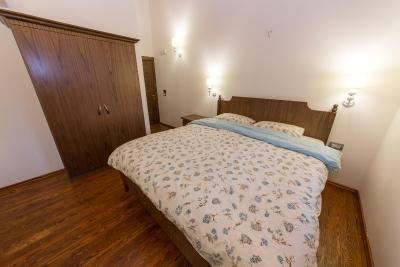 Very clean, modern, excelent location and amasing staff! I would highly recommend this hotel to anyone! Its an amasing value for money! In another European country for that class of hotel you would have paid more than £150 per room! I paid less than half of it for two superior rooms! 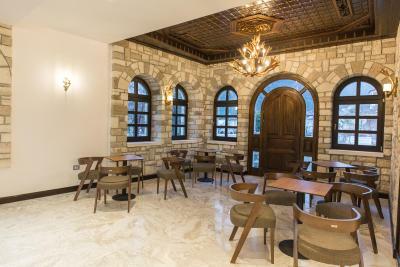 Full of character interior design, free underground and in front of the hotel parking places in the heart of the UNESCO protected 2000 year old town! Staff so friendly and an aboundant breakfast with local delicateses! Speechless about this hotel! 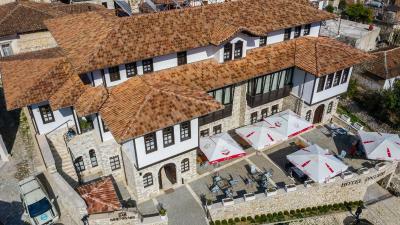 Nje hotel i mrekullueshem me nje arkitekture brilante tipike beratase, me dhoma super komode, te pastra te ngrohta me tavane karakteristike te gdhendur ne dru! 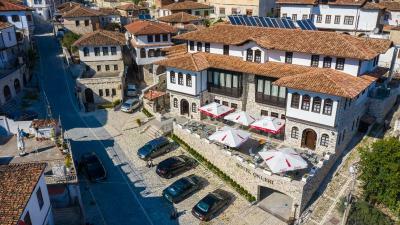 Nje pasterti farmaceutike dhe nje staf te jashtezakonshem qe nga pronarja e hotelit, shume e sjellshme dhe e perkushtuar per te bere qe klientet e hotelit te ndiheshin rehat dhe te kenaqur! Profesionalizem mbrelenes nga i tere stafi! 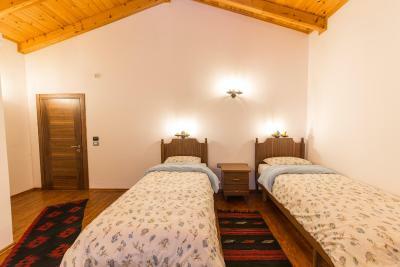 Nje shembull brilant per hotelerine shqiptare! Nje mengjes i shkelqyer me gjithshka deri prodhime familjare shqiptare! Vendndodhja e jashtezakonshme sa ngjit rrugen per ne Kalane e Beratit, 2 minuta nga qendra e qytetit! 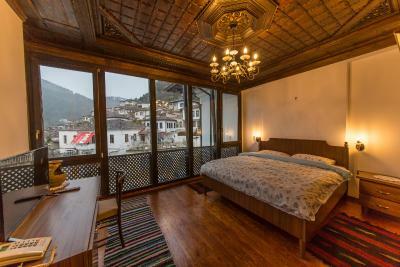 Gojehapur nga Hotel Onufri! Nuk e prisja! Once you showered, the bathroom floor remained wet / flooded in our room. There was good heating with air-conditioning, though difficult to control. One night the fire alarm went off (great thing to have!) but there was no staff to shut it off, I did it myself with a sleepless night afterwards. Maybe a bit more variety for breakfast!